The 18-hole Battle Creek Country Club in Battle Creek, MI is a private golf course that opened in 1919. Designed by Willie Park, Jr. , Battle Creek Country Club measures 6744 yards from the longest tees and has a slope rating of 133 and a 72. Gull Lake View Golf Club and Resort boasts five championship courses, all of which have scenery provided by southwest Michigan's beautiful lake region. Bedford Valley might be the most well known of the five since it has hosted numerous events over the years including the Michigan Open, Michigan Maxfli PGA Junior Championship, and the NCAA III National Championship. The 18-hole Cedar Creek Golf Course in Battle Creek, MI is a public golf course that opened in 1974. Designed by Warner Bowen, Cedar Creek Golf Course measures 6467 yards from the longest tees and has a slope rating of 124 and a 70. 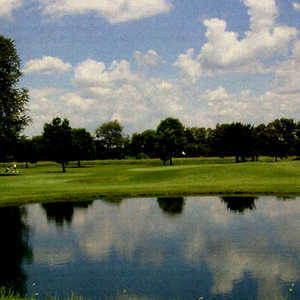 The 18-hole Cedar Farms Golf Course in Battle Creek, MI is a public golf course that opened in 1998. Cedar Farms Golf Course measures 3179 yards from the longest tees. The 9-hole Custer Greens Golf Course in Battle Creek, MI is a public golf course that opened in 1955. The 18-hole Marsh/Preserve at Binder Park Municipal Golf Club in Battle Creek, MI is a public golf course that opened in 1963. Designed by Charles Scott, Marsh/Preserve at Binder Park Municipal Golf Club measures 6622 yards from the longest tees and has a slope rating of 130 and a 71. The 18-hole Marywood Golf Club in Battle Creek, MI is a public golf course that opened in 1926. Designed by Maurice McCarthy, Marywood Golf Club measures 6631 yards from the longest tees and has a slope rating of 132 and a 73 USGA rating. The course features 3 sets of tees for different skill levels. The 18-hole Natural/Marsh at Binder Park Municipal Golf Club in Battle Creek, MI is a public golf course that opened in 1999. Natural/Marsh at Binder Park Municipal Golf Club measures 6603 yards from the longest tees and has a slope rating of 130 and a 71. 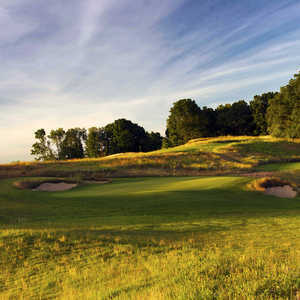 The 18-hole Oakland Hills Golf Club in Battle Creek, MI is a public golf course that opened in 1973. Designed by George V. Nickolaou, Oakland Hills Golf Club measures 6631 yards from the longest tees. The course features 3 sets of tees for different skill levels. The 18-hole Preserve/Natural at Binder Park Municipal Golf Club in Battle Creek, MI is a public golf course that opened in 1999. Preserve/Natural at Binder Park Municipal Golf Club measures 6533 yards from the longest tees and has a slope rating of 128 and a 71. The 18-hole Riverside Golf Club & Banquet Center in Battle Creek, MI is a semi-private golf course that opened in 1926. Designed by Bruce & Jerry Matthews, Riverside Golf Club & Banquet Center measures 6596 yards from the longest tees and has a slope rating of 130 and a 72. 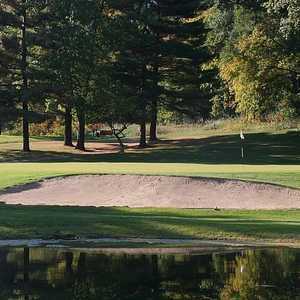 The 9-hole Springbrook Golf Course in Battle Creek, MI is a public golf course that opened in 1972. Designed by Bill Buckner, Springbrook Golf Course measures 2946 yards from the longest tees. The course features 3 sets of tees for different skill levels.